Got questions about rich pins? You've come to the right place! This guide on how to use rich pins on Pinterest will help you understand what rich pins are, how they can help your blog or business, and how to get them on your Pinterest account! Pinterest is made up of images or "pins." Rich pins are pins that are enhanced with extra details and more information than regular pins. There are six types of rich pins: product, recipe, article, movie, place, and apps. - Product rich pins give information about a product's price, availability, and where to buy. - Recipe rich pins show ingredients, serving sizes, and more. - Article rich pins provide post titles and descriptions. - Movie rich pins include rating information, cast members, and reviews. - Place rich pins show a map, address, and phone number for a particular location. - App rich pins include an install button to instantly download an app right from Pinterest. You can only use one type of rich pin at a time so think carefully about which one you choose to use. I've had people ask me about the difference between product and article pins and how they should be used. Product pins are for items you are selling directly from your site (your blog, your Etsy store, etc.) Article pins are for pages that have original content or tell a story; this includes blog pages. That means images pinned from my recipe posts are also formatted as article pins and don't show everything that a recipe rich pin would show. (That's ok because that extra data embedded in the rich pin is still helping in keyword searches!) If you're a food blogger and only post recipes on you blog, then you would want to use the recipe rich pin format. Why should you use rich pins? Higher visibility and SEO. Rich pins can help you with Search Engine Optimization (SEO). Since rich pins contain lots of extra info (metadata) it can be indexed and used in searches. This data can help your pins do better in keyword searches and make your pins more visible to more people! Branding. Rich pins display your favicon. Your logo will appear on your pins which can help distinguish your image, your brand, or your product. Convenience. Rich pins automatically update website information anytime it's changed. If you reduce the price of a product on your website or change an ingredient on your recipe post, that information will update automatically without you having to make the change manually on Pinterest. This can be real time saver! Automatic sale alerts. If you decrease the price of a product by more than 10% Pinterest will send a free automated email about the price drop to anyone who pinned your product. This can be a great feature to help increase sales! Trusted. In order to have rich pins, your account must be verified by Pinterest. This proves to the Pinterest community that you are a trusted member in good standing. It's Easy! Once you have rich pins, you're done. 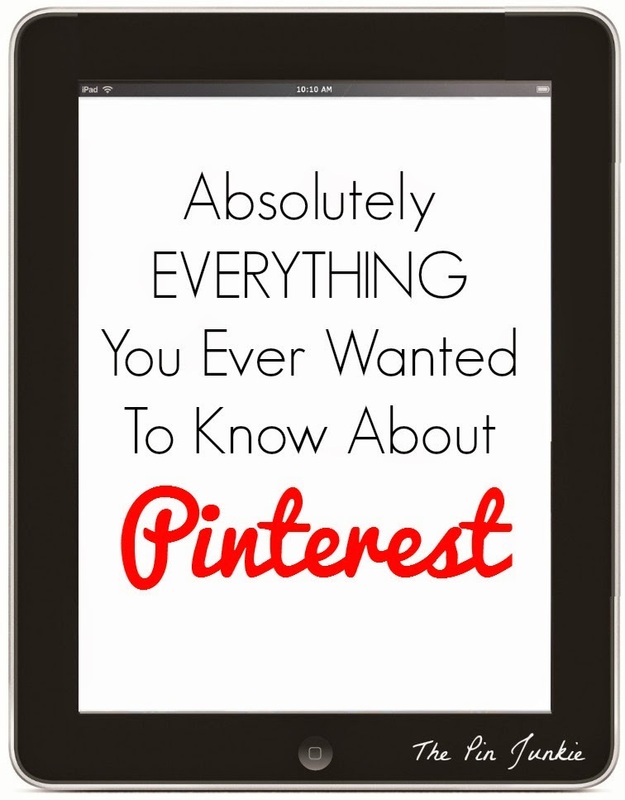 The process will apply to all of your previous pins and all the pins you pin in the future. How to install rich pins? 1. Decide which type of rich pin to use on your site. 4. Paste the HTML code between the <head> </head> tag on any one of your posts. 5. Apply for rich pins by copying the URL of the page that contains the correct HTML code in the Rich Pin validator. 6. Wait a couple of days. 7. Once your site is validated and enabled for rich pins, your pins will show up as rich pins on Pinterest. this is good to know, do I have to do it for each post? or just pick any random post and then it shows up on all my posts? I used a recent post, but any random post will work. Use that post's URL in the rich pin validator and you're all set! Exactly my question. What a relief that I only have to do one. Bonnie, my blog is both articles and recipes. How do I do that? Great information. I did not know how to do this! This is on my to do list! Thanks for the help! Thank you for sharing, I'm definitely pinning this. I need to get started on Rich Pins. I need to do this.. I just pinned so I can go back to it.. Thanks for this information. I will be pinning it and coming back later when I have more time to study. Finally, an explanation of rich pins that I understand! Thank you!! Stopping by from Freedom Fridays! Never mind! I just found out my recipe plug-in did all of the work for me and I just needed to apply. Thanks for the encouragement to get this done. Awesome information. You spelled it out so well! Thank you for such an informative posts. I've been wondering about rich pins for a while, and your step by step instructions helped! I'm definitely trying it out to promote posts on my blog. Glad I came across your blog on Titus 2 Tuesday. Thank you for this information. I have been approved for rich pins but I haven't any idea of why they are helpful. This is so informative and helpful, I didn't know all this. Thank you, pinned and shared on my blog's FB page! awesome advice here! thanks for sharing, great images too! I have never even heard of rich pins. Still not sure if they would benefit me. Thanks for sharing with SYC. Thank you, thank you for posting this! I have been wanting to do this! Thanks for linking up with us at Idea Box! This is fascinating! Another question: have you noticed a big increase in traffic to your blog since you've started to use rich pins?